So Burton have named the oldest average line-ups so far, with an average age closer to 30 than 29. 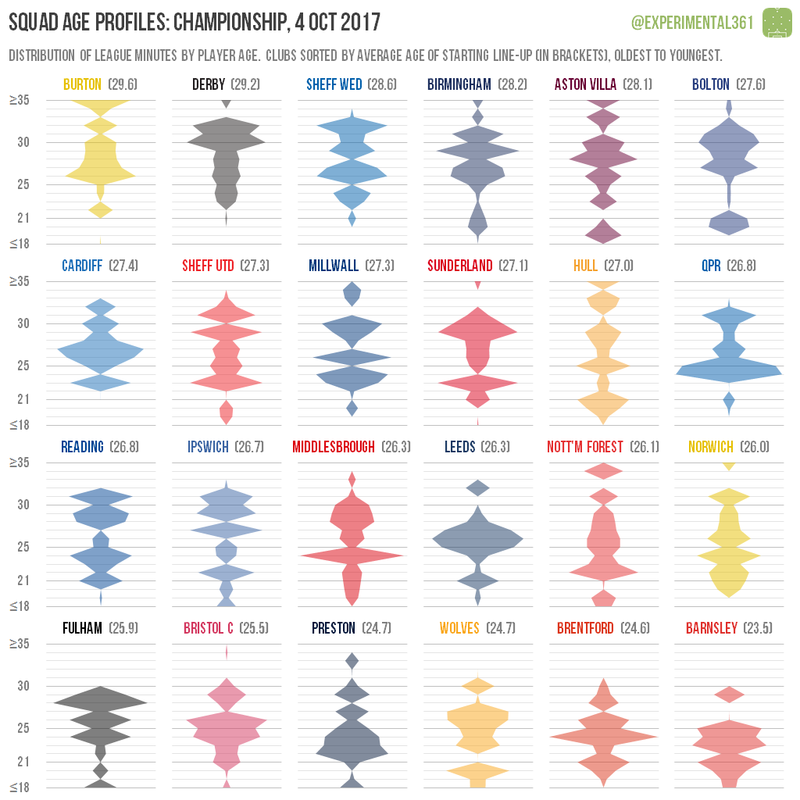 They’re also the only side in the Championship to have named a team with an average age of over 30 this season. The youngest team so far this season has been Barnsley, who have yet to name a starting eleven with an average age of over 24, including one that was under 23. Both the Tykes and Fulham have yet to field a single player in their 30s this season, while a whopping 55.5% of Derby‘s league minutes have been racked up by players aged 30 or over – the most in the EFL. All six of the Rams’ players to have featured in every game are in their 30s. Cardiff are one of only two EFL clubs not to have given a single minute to a player aged 21 or under. 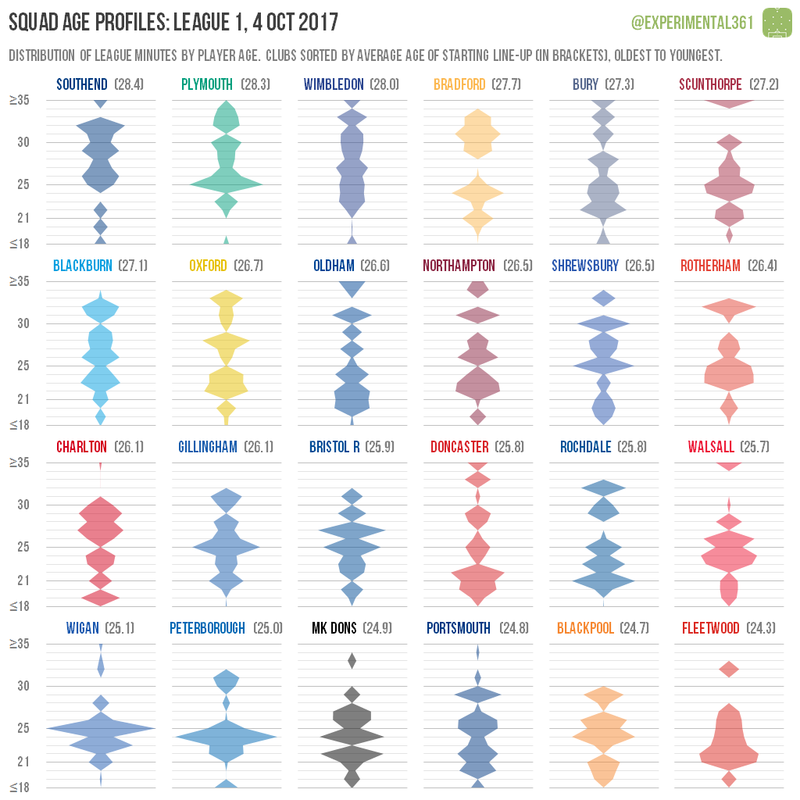 Southend have been the oldest team in League 1 so far, although newly-promoted Plymouth aren’t far behind: both have named line-ups with an average age of over 28. However it’s Bradford who are putting the most faith in experience, with 43% of their playing minutes being accrued by players aged 30 or over – the most in League 1. The youngest side in the division is Fleetwood, who are the only club yet to field a team with an average age of 25 or over. While Blackpool‘s line-ups have been a shade older, the Tangerines are the only side in the third tier – and one of only three in the EFL – yet to field a player in their 30s. 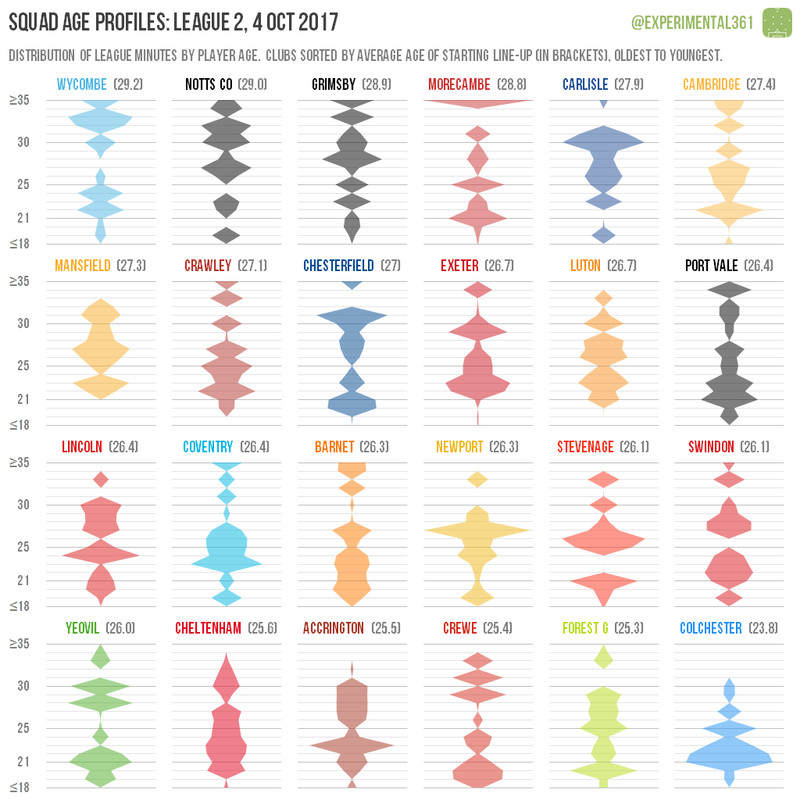 Wycombe and Notts County are the oldest teams in the division so far, with the average age of both clubs’ starting elevens topping 29. Both have given over half of their league minutes to players aged 30 or over – the only clubs besides Derby to do so in the EFL. Colchester‘s line-ups have been the most youthful by quite some distance, with an average age of under 24. However Crewe have given more pitch time to players aged 21 or under than any other club in the EFL: just over 40% of their league minutes. This is in stark contrast to Mansfield, who along with Cardiff are one of only two clubs not to have given a single league minute to a player aged 21 or under.